Rural Housing and VA Loan are No Money Down Loans. Accumulating enough savings for a down payment, closing costs, moving costs and an extra cushion of emergency savings can be the most challenging aspect of buying a home in Utah County. Renters who want the stability and pride of homeownership and the opportunity to build equity in a home are sometimes thwarted by the lack of cash even if they have excellent credit and a stable income. It has become increasingly difficult to get a loan in Utah County over the past few years. Here's why: Even federally insured (FHA) Federal Housing Association loans require a down payment of 3.5%. That may not sound like a lot, but on a $200,000 home, you would need $7,000 just for the down payment. Zero-down-payment mortgage loans used to be popular when home values were rapidly rising. Zero down payment mortgages are very rare and difficult to find in Utah County. These days, almost no conventional loans are available without a down payment of at least 3% to 5% of the home price or more. However, some homebuyers may be able to qualify for a no-down-payment home loan through one of several programs. The caveat is that borrowers must be able to provide documentation of adequate income to repay the loan and must have good credit -- at the very least a score of 620 or higher. Some lenders and loan programs will require a higher score than 620. Before you get too excited about buying a home ask a lender to pull your credit report and find out what your credit score is. Military families and veterans may qualify for a Veterans Affairs loan, which offers 100% financing. The VA loan program has been in place since World War II and is an insurance program that guarantees loans up to a certain limit. In most areas, that limit is $417,000, but the limit is higher in counties with more-expensive housing. If you are a veteran ask Paul to provide you with a good VA lender in Utah County. VA loans often take a little longer to do and require more paperwork. To apply for a VA loan, borrowers must obtain a certificate of eligibility from a VA eligibility center. After obtaining a COE, borrowers can work with any lender that offers VA loans. VA loans not only do not require a down payment, but the mortgage insurance of 2.15 points (a point is equal to 1% of the loan amount) can be wrapped into the loan. Loan qualifications vary from lender to lender, but in general, VA loans require a debt-to-income ratio of about 41%. 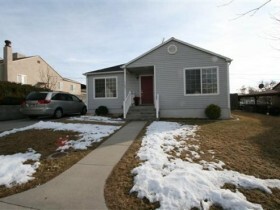 I have helped several buyer's get VA loans on homes in Utah County. They require twice the paperwork than a convential or fha loan. The VA loan requires more inspections like a termite inspection. The typical VA loan also takes longer to aquire. In my experience it takes around 45 days to get a VA loan. The VA loans typically have a higher interest rate than a conventional or FHA rate. Buy with zero down programs are often available for the military. Some potential buyers who live in specifically designated regions in Utah County may qualify for a U.S. Department of Agriculture Rural Development housing loan. Although the loans are for "rural" areas, some eligible locations are actually near towns. Check the USDA eligibility page to find out if the area where you want to buy is a designated area. In 2012 parts of Lehi were considered Rural housing. The part of Lehi Utah was the west side. Also, Saratoga Springs and Eagle Mountain, Payson and Santaquin were considered Rural Housing Cities. Qualifying for a USDA home loan requires not only location eligibility but also conforming to income limitations. Borrowers can enter their ZIP code, income and number of household members here to find out if they meet the guidelines. USDA loans are geared to low- and moderate-income households in Utah County that have the income to afford the home payments but may be unable to save enough for a down payment. Minimum credit scores vary from lender to lender, anywhere from 600 to 640 or higher. An upfront loan guarantee fee of 3.5% of the loan amount is required, but borrowers can wrap that fee into the loan balance to avoid the need for any cash at closing.